We’re reclaiming unapologetic, fearlessly feminine looks. Keep reading to learn how to seamlessly work these modern classics into your wardrobe and rock them in a way that’s unique to your personal style. 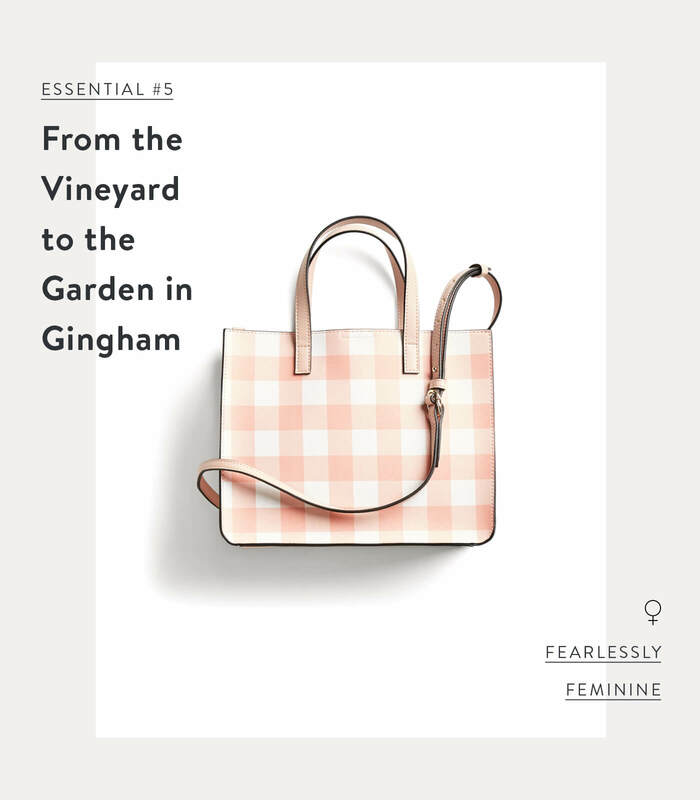 Read on to see the feminine essentials to stock your closet with. Show up full chic to your next work meeting in a black and white paisley print A-line dress. Or, go lacy with an intricately-detailed cap-sleeved midi. Both can be paired with a structured blazer and pumps for a dynamic, unapologetically feminine aesthetic. If dresses aren’t your thing, try its ultra-flattering cousin, the wrap top. 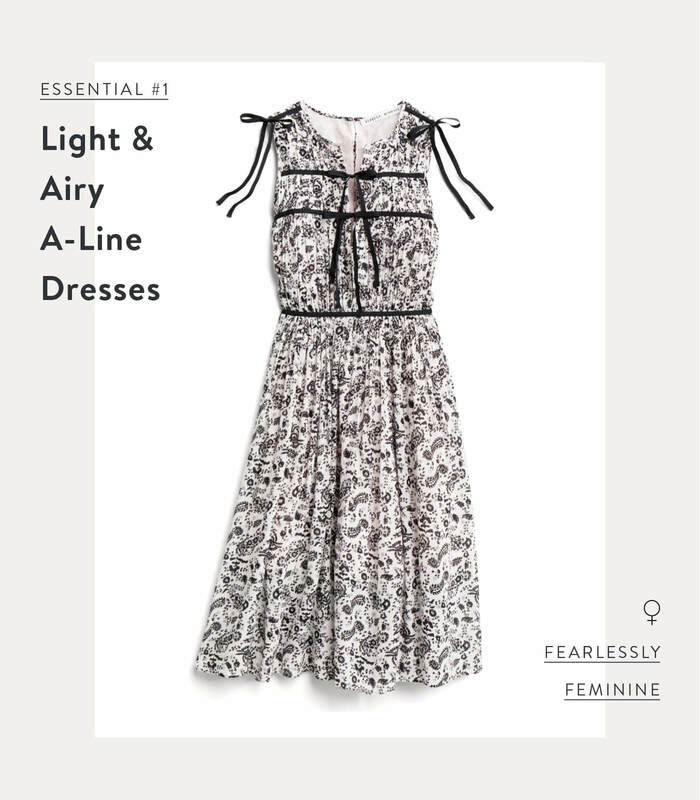 There are so many styles that address your fit preference—from a more blousy, flowy shape with a knotted side-tie or a classic cinched-waist style with eyelet details. Insider secret: Combine a wrap top with stretchy leggings for a comfy, but cute outfit to relax in after your family barbecue transitions into an outdoor movie night. Show no fear when it comes to wearing white denim. 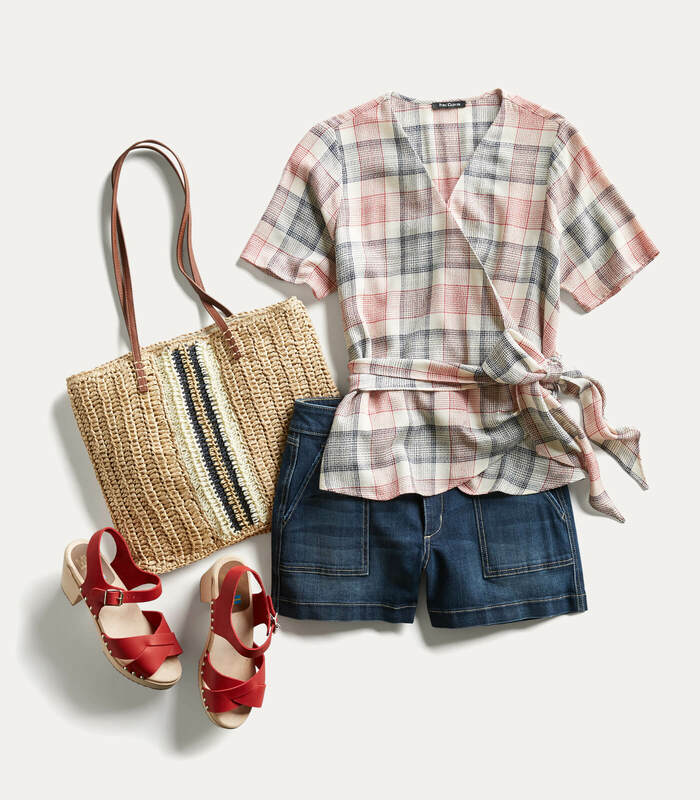 Try a fresh new silhouette—cropped, wide-leg or skinny—paired with your favorite pastel blouse for an everyday minimalist look. 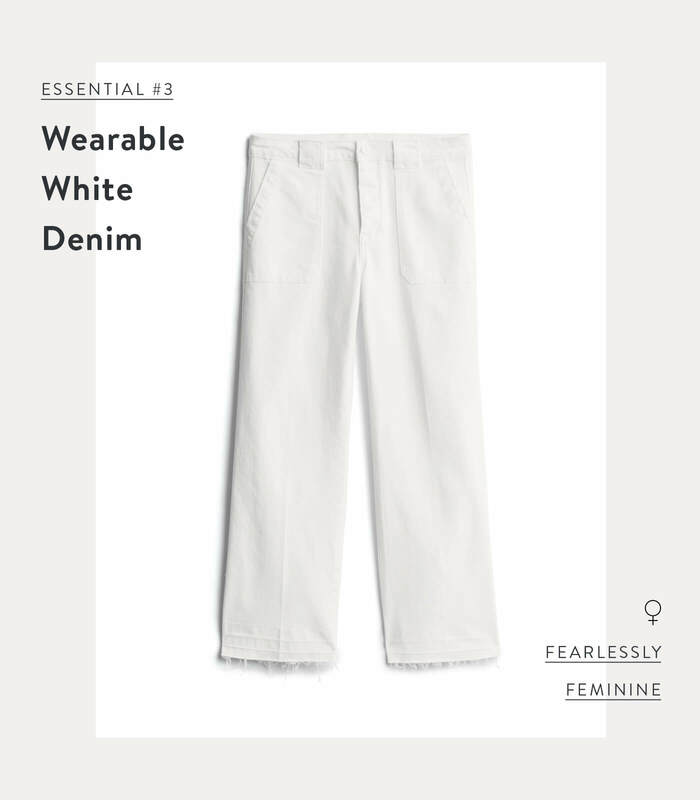 White jeans will expand your denim selection, and are a twist on a trusted wardrobe essential. Got plans to hit up that new rooftop hangout? 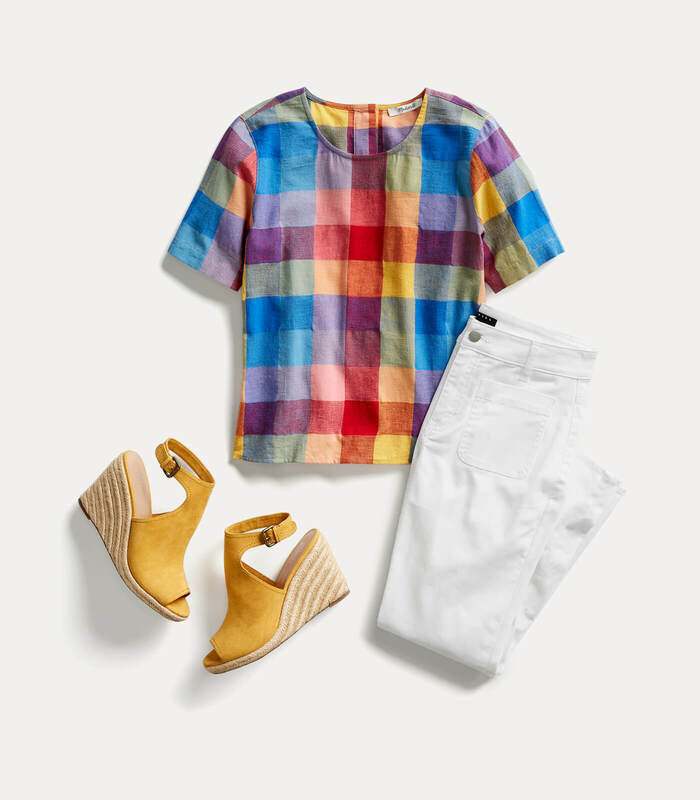 Slip into your white jeans combined with bold, block-heeled pumps and an equally impressive crew neck gingham top with button details down the back. 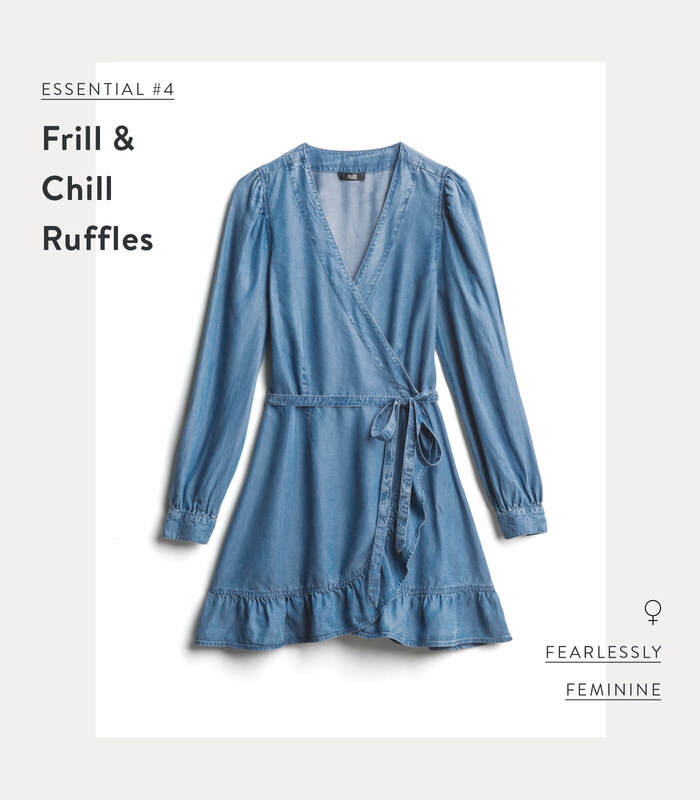 A ruffle at the hem of your chambray wrap dress adds an unexpected touch to a beloved classic. 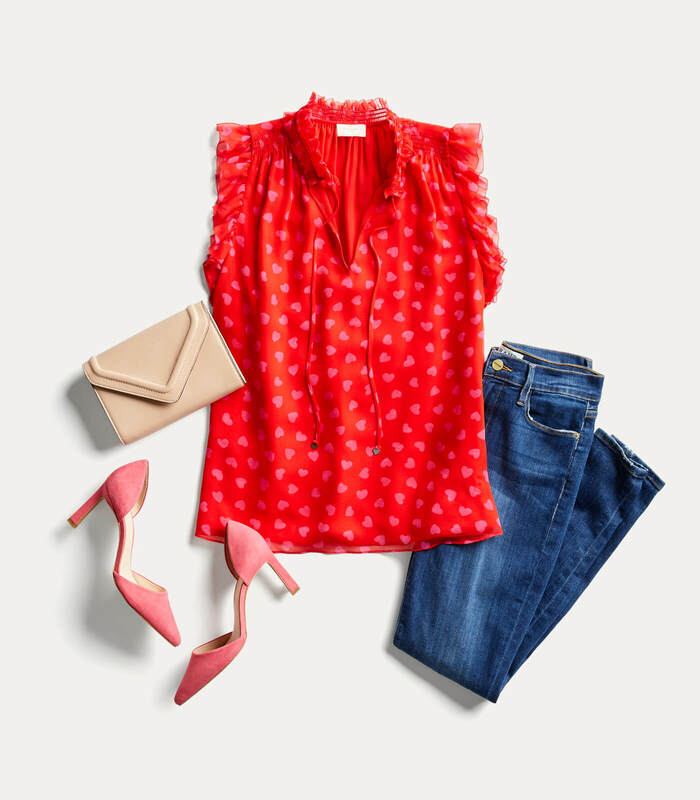 Pair blouses with ruffled details on the sleeve or at the collar with dark wash, wide-leg jeans made for strolling around your neighborhood art or music fest. 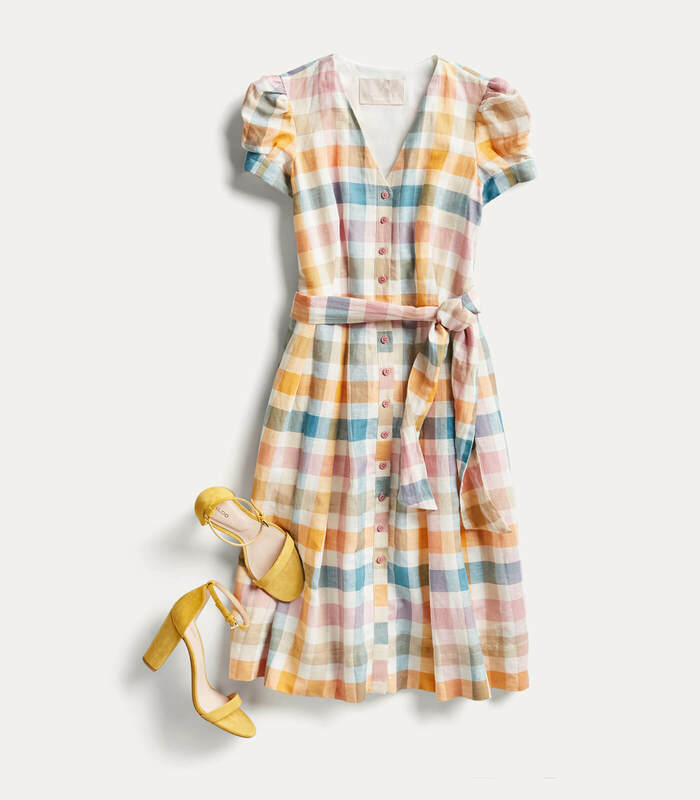 There’s something about gingham that feels retro and refined. 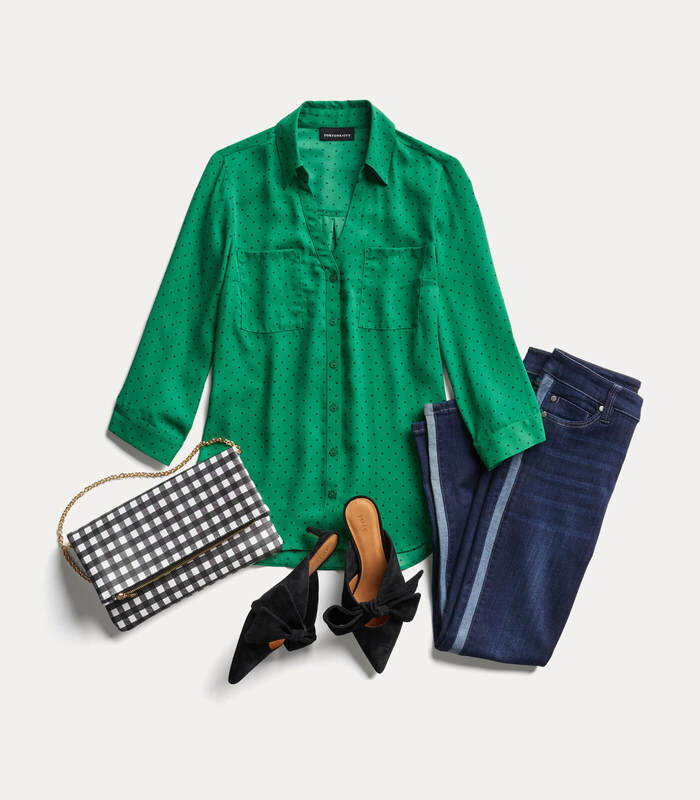 Reach for a gingham clutch or a small satchel for an updated way to add a subtle vintage twist to your wardrobe. Modernized pieces like ruffled dresses, shorts and cropped pants prove that this is one print that’s come a long way since Dorothy left Kansas. 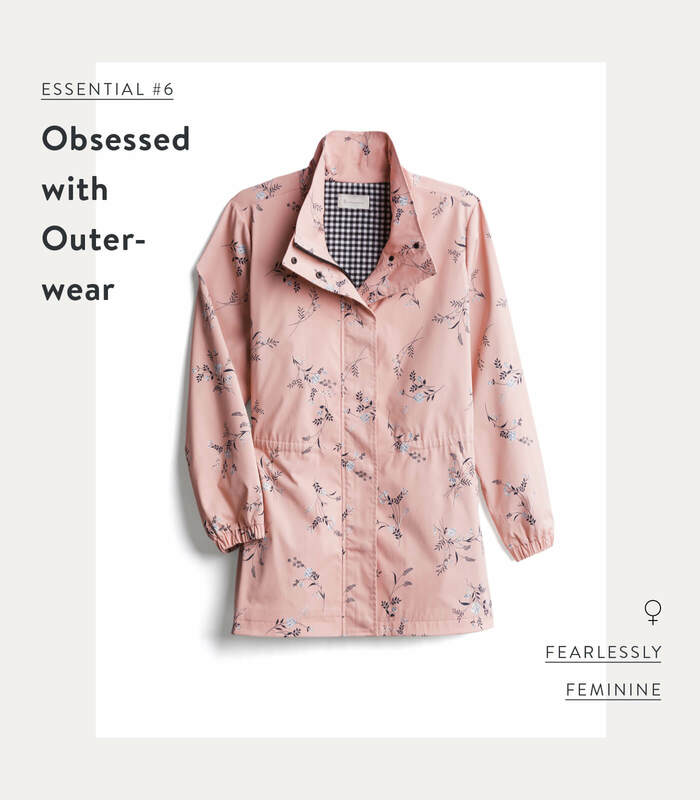 A floral print anorak is perfect to ward off the brisk early morning chill during your carpool run or to head out the door into the crisp evening to walk the pooch. 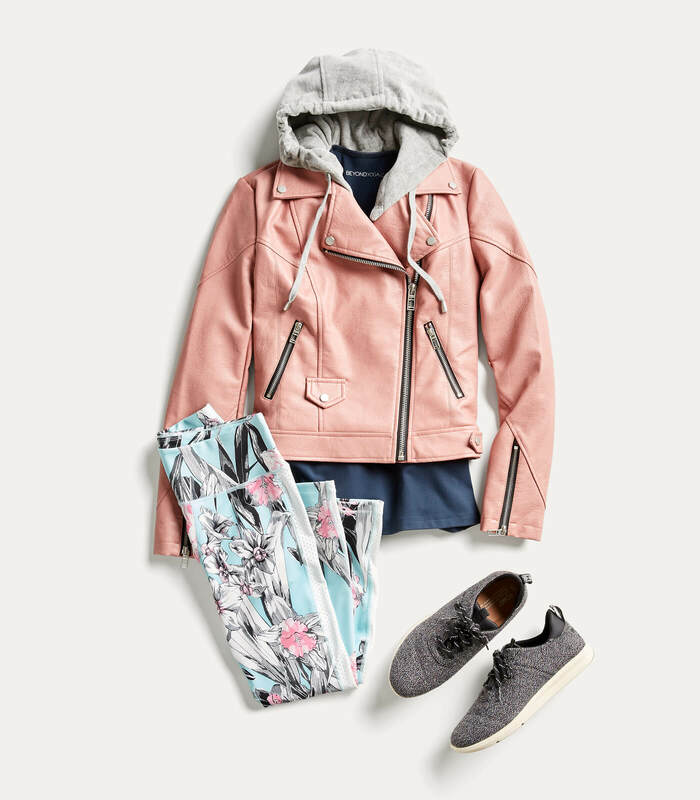 Step it up a notch when cruising for antiques on the weekend in a comfy pair of straight-leg cropped jeans, a neutral flat and a blush-colored feminine moto jacket with ruffle details on the cuff. 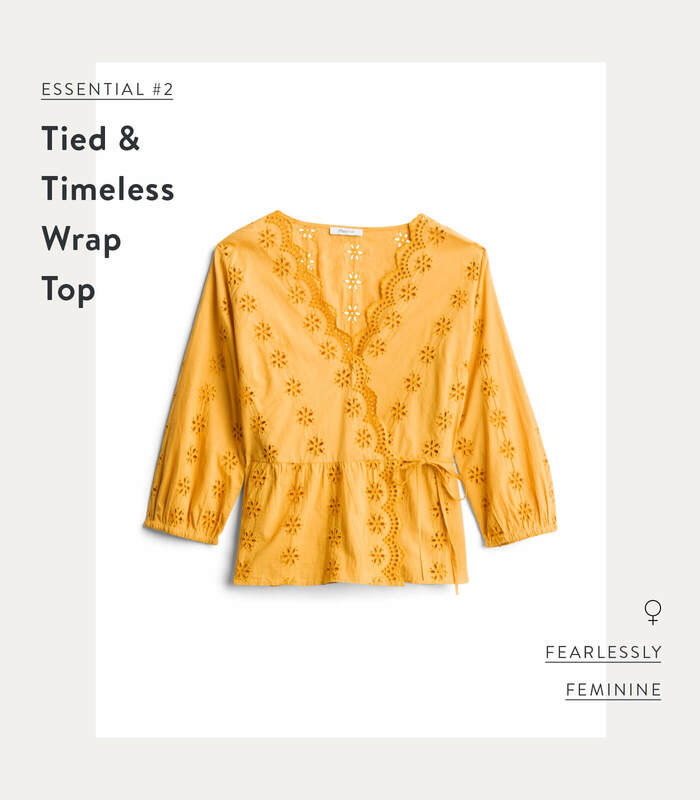 Now tell your Stylist which feminine essentials you’re ready to see in your next Fix!